The LGBT Center of New Orleans is now providing fiscal sponsorship to community projects, allowing them to act as a non-profit without the paperwork of a registered 501c3. A fiscal sponsorship allows a project to accept tax-deductible donations, apply for most grants, and receive insurance coverage by utilizing the 501c3 status of an existing organization. Offering fiscal sponsorship to community organizations furthers our mission to provide resources that foster community development. By supporting existing community projects rather than creating top-down programming, we support organizations that are founded by and for the specific communities they serve. While programming is a major facet of most LGBT Centers, and one we will pursue in the future as our capabilities increase, the best start is to support organizations that already exist by increasing their own internal capacity. In addition to the benefits we mentioned above- insurance coverage, accepting tax-deductible donations, and qualification for most grants (some limits on federal grants may apply, if this affects your organization please contact us for more information), fiscal sponsorship through the Center comes with a number of other perks. We can provide free web hosting for your website, training in web and social media development, and your organization will get a bank account and debit card to manage your own project funds. To be eligible for fiscal sponsorship, organizations must work in Louisiana or southwest Mississippi with a focus on LGBTQ or strongly allied issues; such projects can include art, advocacy or public policy, research, history, and more. Please send a letter of inquiry to the Board of Directors explaining your project and why you would like to receive fiscal sponsorship through the Center. The final decision on fiscal sponsorship lies with our Board, who meet once a month. If there is a time crunch (i.e., a grant deadline), please let us know when you send the letter of inquiry. As a part of the agreement, we ask for a small administrative fee to cover the costs of our book keeping and associated overhead. In order to make this by the book, we employed the help of activists and lawyers to get it right. Special thanks to Sarah Pic, with the New Orleans Dyke Bar Project, along with local lawyer Abid Hussain, who helped us draft our contract with between the Center and our sponsees (if you’re interested in the legal lingo, you can see a version of the contract here). Sara V. Pic is a law librarian at the Louisiana Supreme Court. She was formerly a public interest attorney helping low-income families and children. She is a graduate of McMain Magnet, Smith College, Northeastern Law, and LSU School of Library and Information Science. 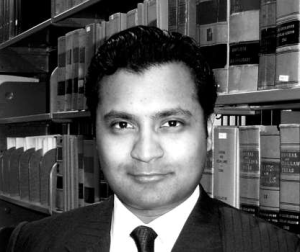 Abid Hussain is a solo law practitioner in New Orleans and Dallas. He has practiced corporate law for almost eight years in Texas and Louisiana. He provides legal and corporate counsel, including intellectual property and asset protection, to entrepreneurs, business owners, and investors, as well as musicians. Most exciting for us is that he is a fantastic ally to the LGBT community, and has agreed to lend his expertise to the members of the Center’s LGBT NOLA Directory through a Small Business Q&A feature on our site. The Center is committed to economic justice efforts, and the Small Business Q&A is one way to increase the capacity of LGBTQ-owned small businesses and thereby the economic resilience of our community. If you are interested in fiscal sponsorship, or the small business Q&A with Abid Hussein, please contact us at info@lgbtccneworleans.org.